Student choice. Student voice. Exam prep. 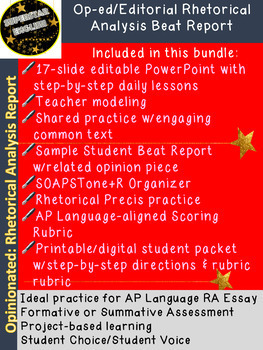 All rolled into one engaging and topical unit for AP English Language and Composition and upper-level English classrooms. 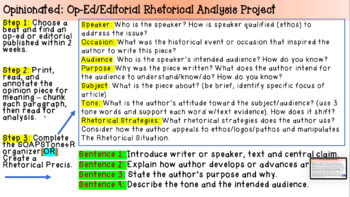 Students practice rhetorical analysis skills as they choose their own editorial "beat", find an engaging op-ed or editorial within that beat, peruse trusted sources for an article to analyze, then go through a close reading and drafting process to produce a rhetorical analysis of the opinion piece. 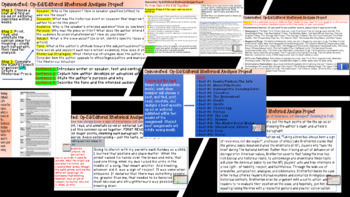 In the process, students share texts and group-think and analyze editorials and subsequent rhetorical analysis reports of those sources. 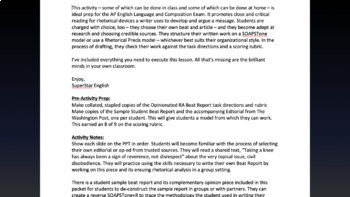 This is ideal prep for the AP Language exam and for college, when students will have more choice and voice in their written work.